Open Cluster Cassiopeia 23h24.2 +61°35' 13' 7.3 5 Kly ??? 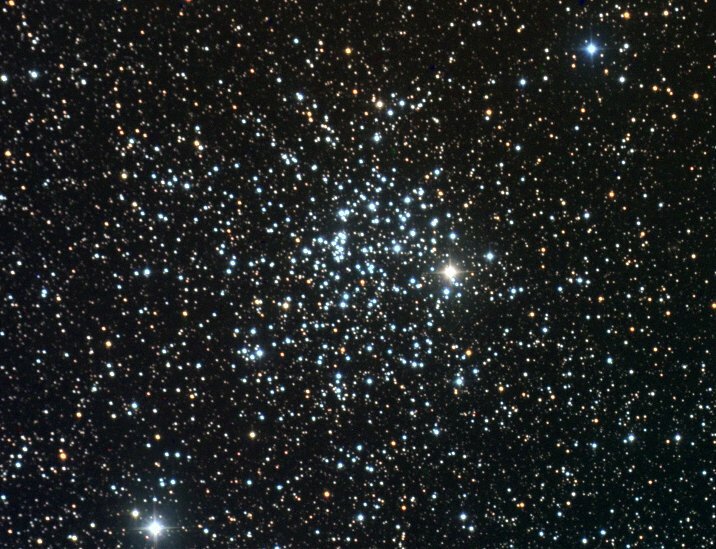 Messier 52 (also known as M 52 or NGC 7654) is an open cluster in the Cassiopeia constellation. Due to interstellar absorption of light, the distance to M 52 is uncertain, with estimates ranging between 3,000 and 7,000 light-years.